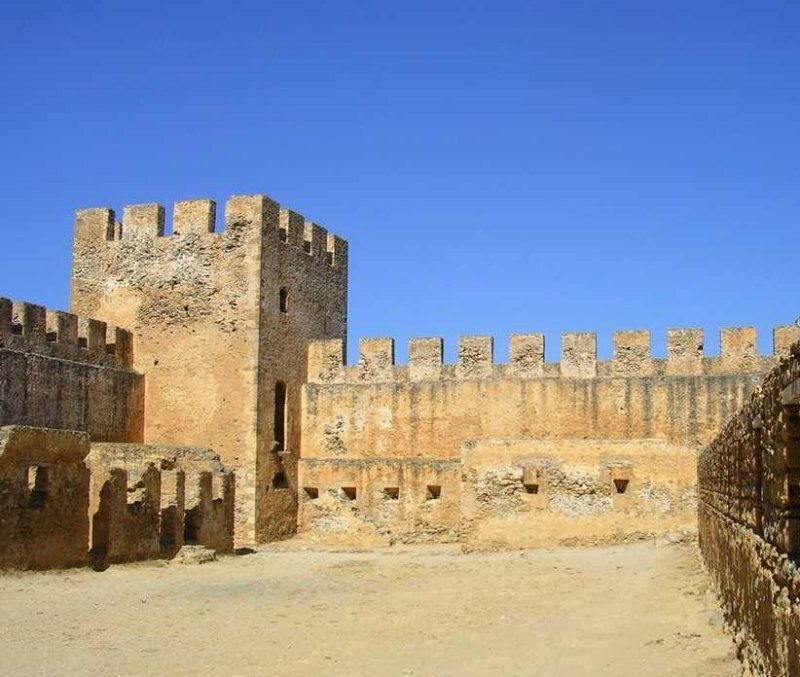 A remote long sandy beach that takes you back to the middle-ages and offers adequate facilities. 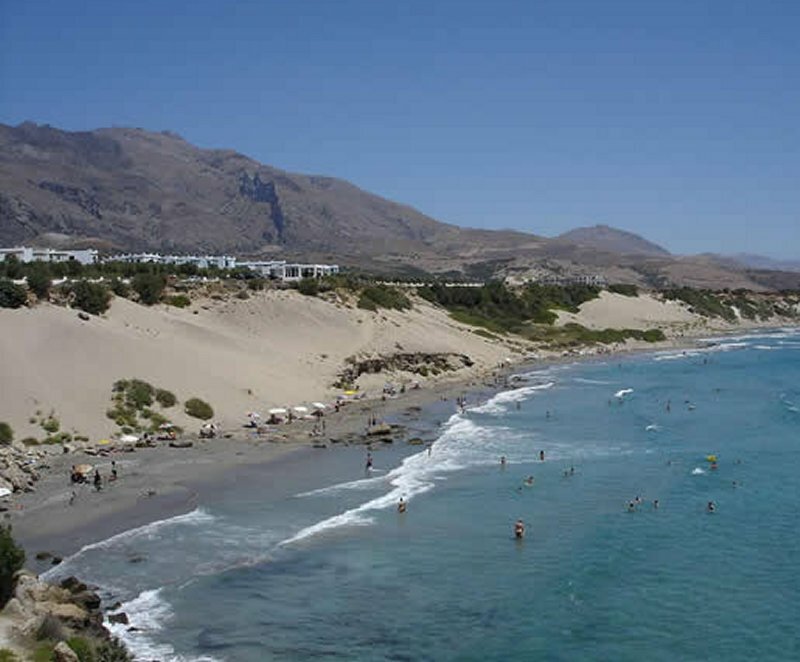 Frangokastelo sandy beach is a long drive away from Hania, or Rethymno but has adequate facilities and is not crowded. There is a Venetian Castle by the beach. 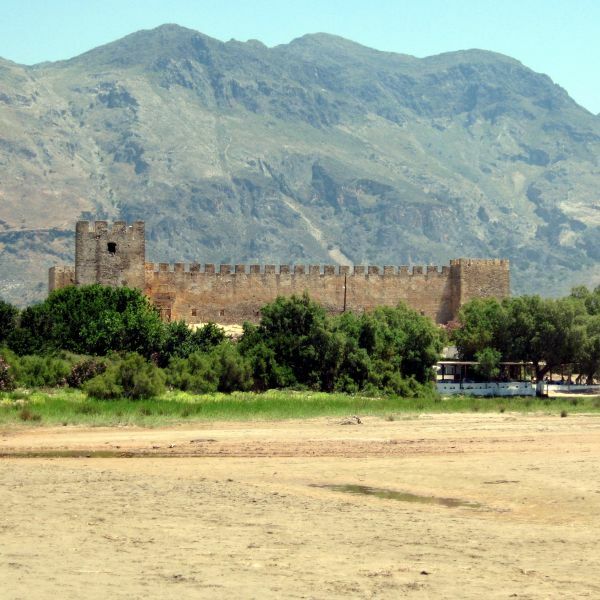 On the northeast side of the Chania Prefecture, the Frangokastelo (Castle of the Venetians) beach with the remains of a Castle attracts many visitors. 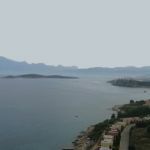 The drive from Hania is long but impressive since you cross Lefka Ori mountains and Imbros gorge. Once the Libyan Sea appears before your eyes, you start descending, feeling the excitement of reaching the beach and diving into the sea. There are facilities on the beach along with rent rooms and taverns. 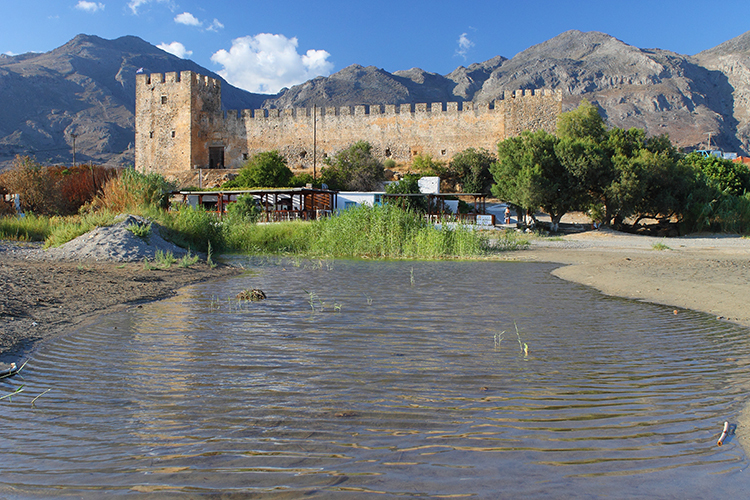 The thick sand and lush green waters are combined with a romantic sunset by the castle for those spending a whole day relaxing on this beach. In late May, early June morning hours Drosulites appear on the beach. 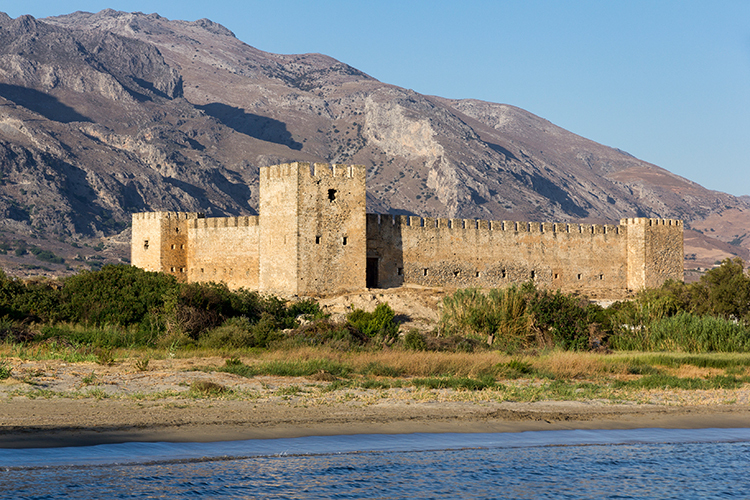 Myth has it that they were great warriors that fought with courage against the Ottomans to protect the Castle. Those of them that died in the battle were not buried, instead they were covered by sand which was carried by the wind. 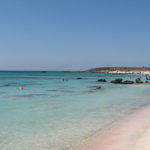 Walking further to the east, the Orthi Ammos beach is an option for those wanting more quiet and private relaxation under the sun.